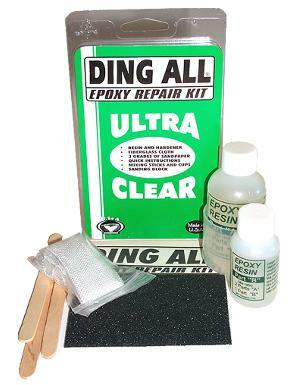 Ding All Epoxy Repair Stick is a hand-kneadable, specialty epoxy putty that mixes in just one minute for permanent repairs to your board. Epoxy Stik contains a fading blue dye and becomes fiberglass white after mixing. 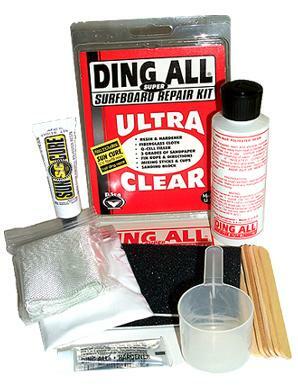 It may be applied underwater in either fresh or saltwater and will bond to substrates such as fiberglass, epoxy, wood, glass and metal. 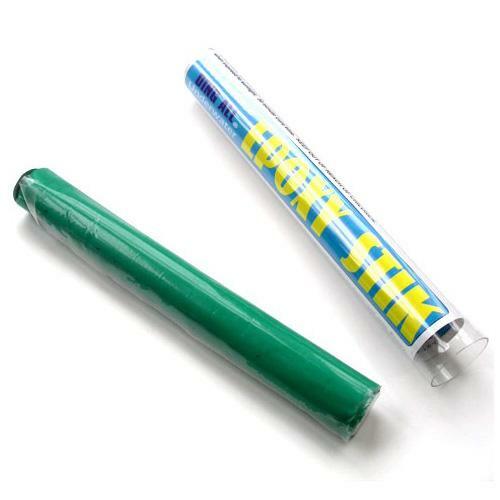 Epoxy Stik will not yellow when exposed to sunlight. Allow 30 minutes for cure time. This kit is designed to cure in sunlight. Great for those travelling surfers. Will dry in bright sunlight in minutes. 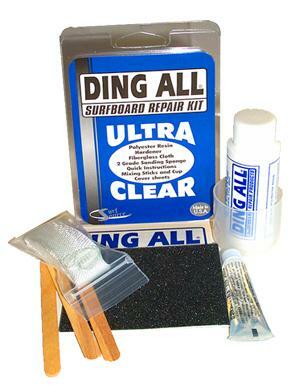 After it has dryed, use sandpaper to smooth excess dried resin. 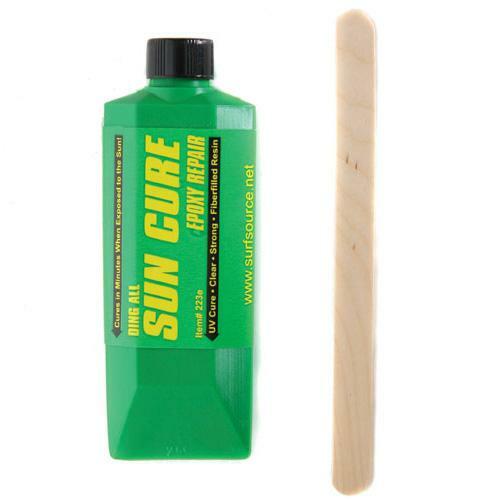 A 1-ounce size of our larger Sun Cure® Fiberfill tube. 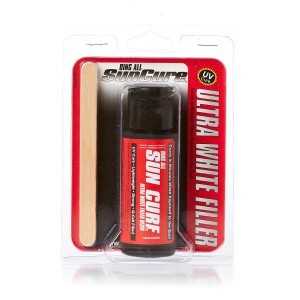 Give it a try, and you will find out how easy it is to use on surfboard dings. You will also see how well the ding is hidden. 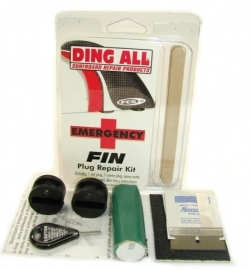 A faster method for filling all types of dings, especially larger voids where foam needs to be replaced. Sun Cure® Ultra White Filler resin is used straight from the tube, no mixing or adding q-cell needed. 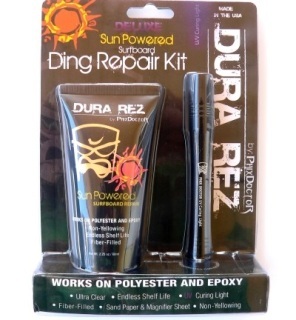 Our proven formula is very UV stable and provides a permanent repair. Cures within 5 minutes then is ready for easy sanding. Kit contains 2oz. 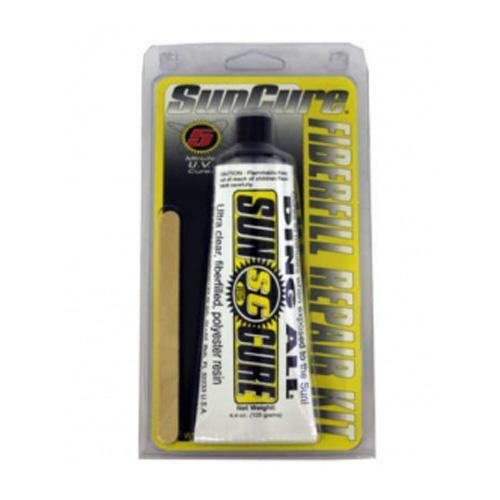 SC polyester White Filler resin, 2 grit sandpad, applicators, coversheets, instructions.